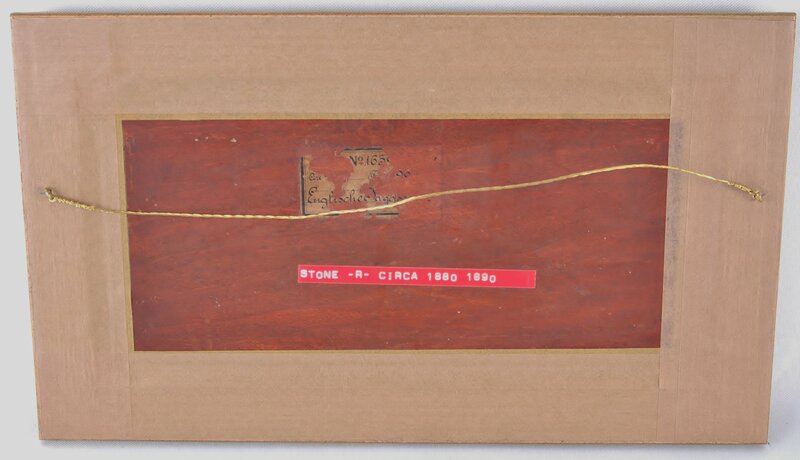 R. (Robert) Stone- British, German or American. 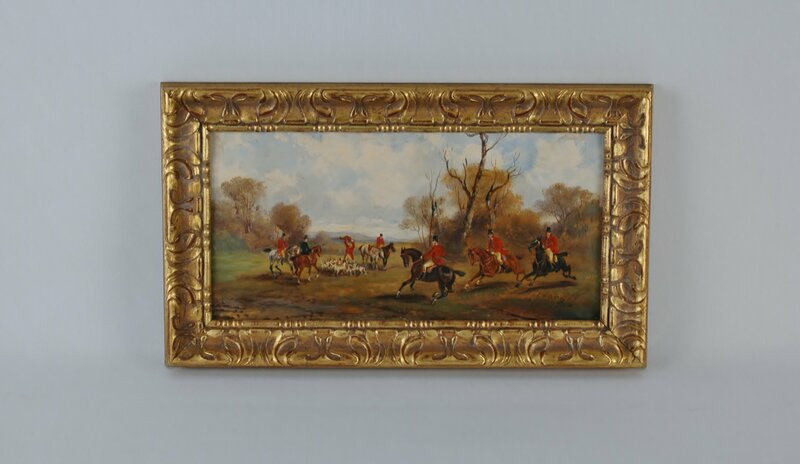 Late 19th- early 20th century. 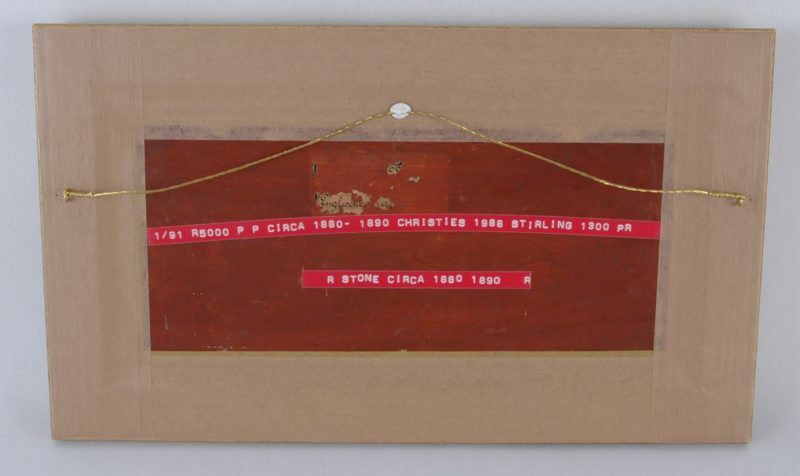 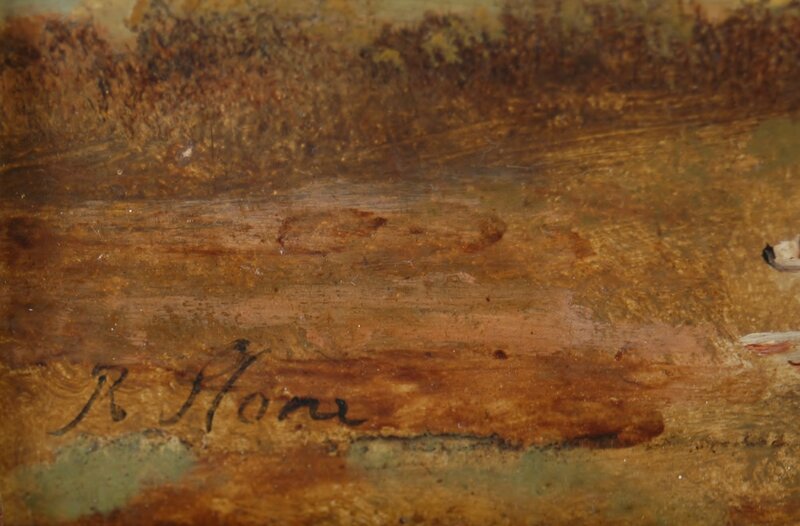 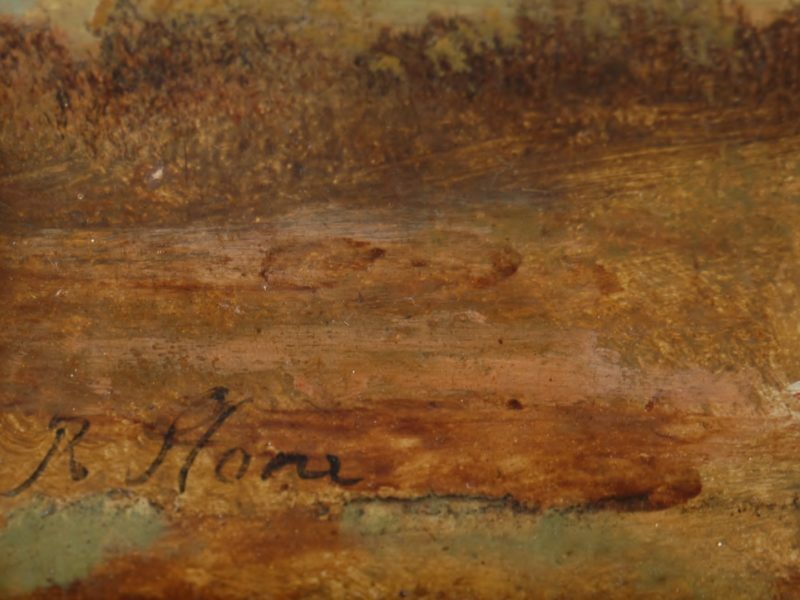 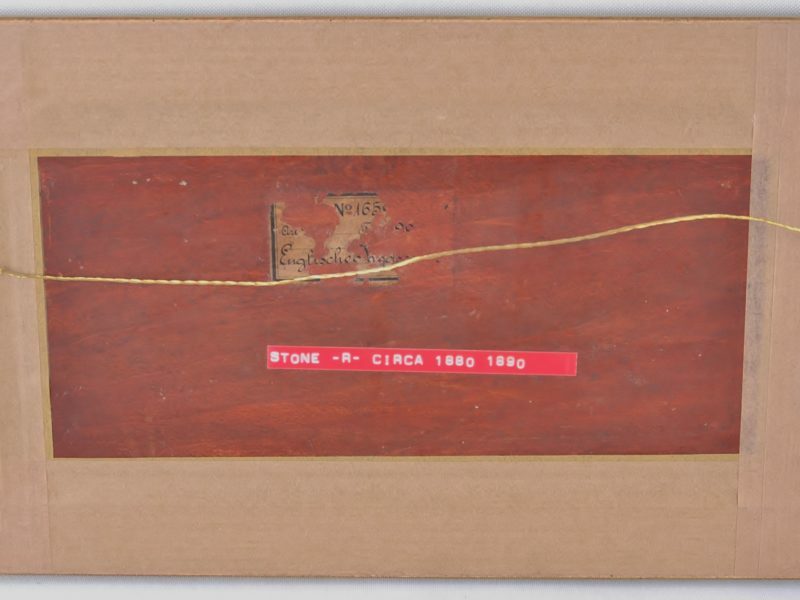 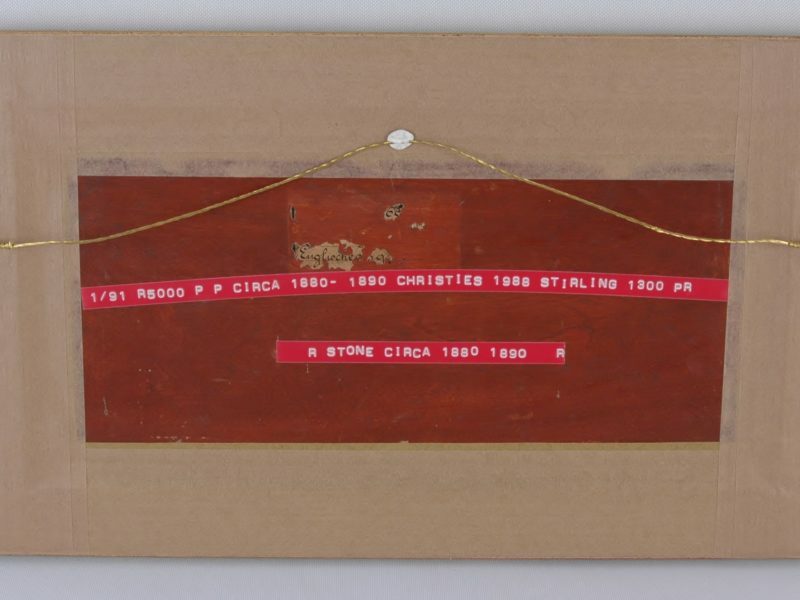 R. (Robert) Stone is listed in Benezit, Dictionary of Artists, 2006, as British or American, 19th-20th century. 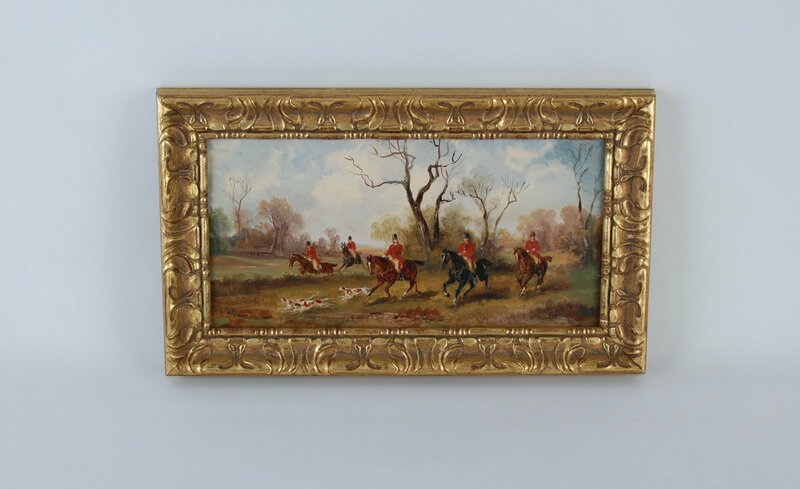 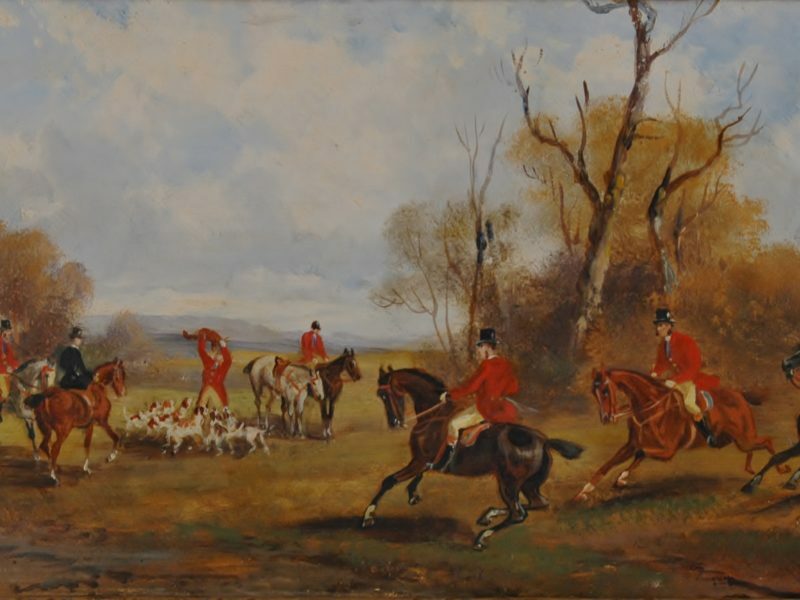 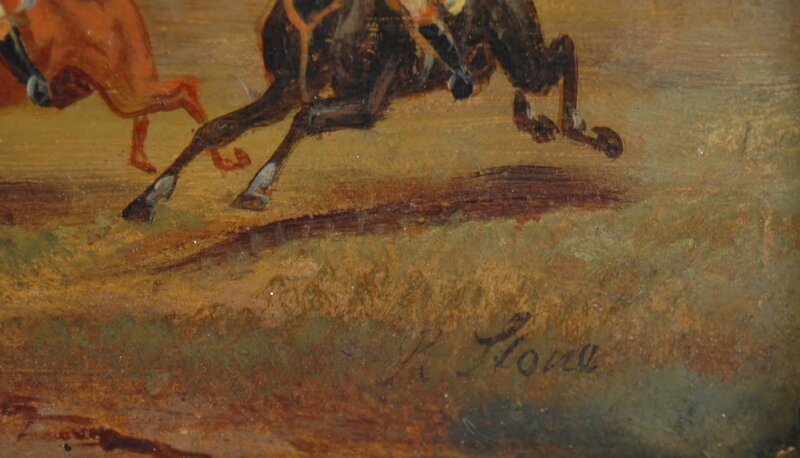 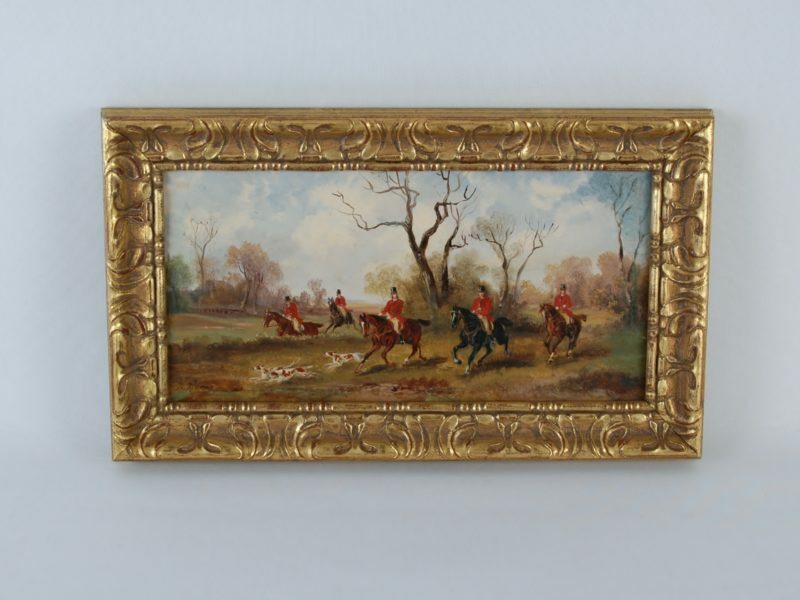 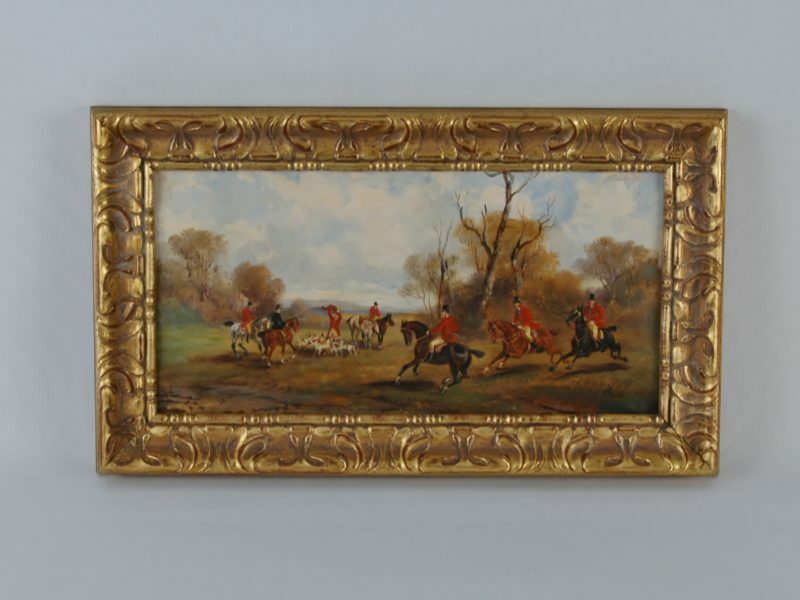 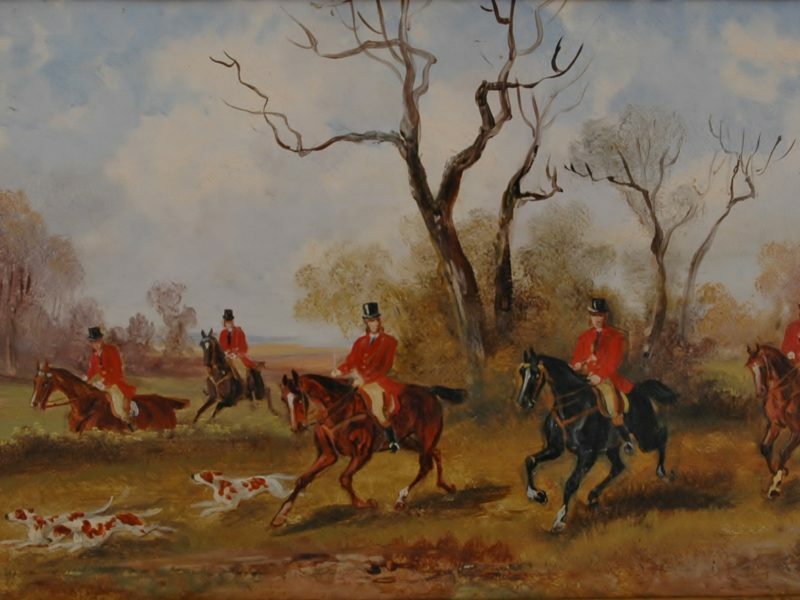 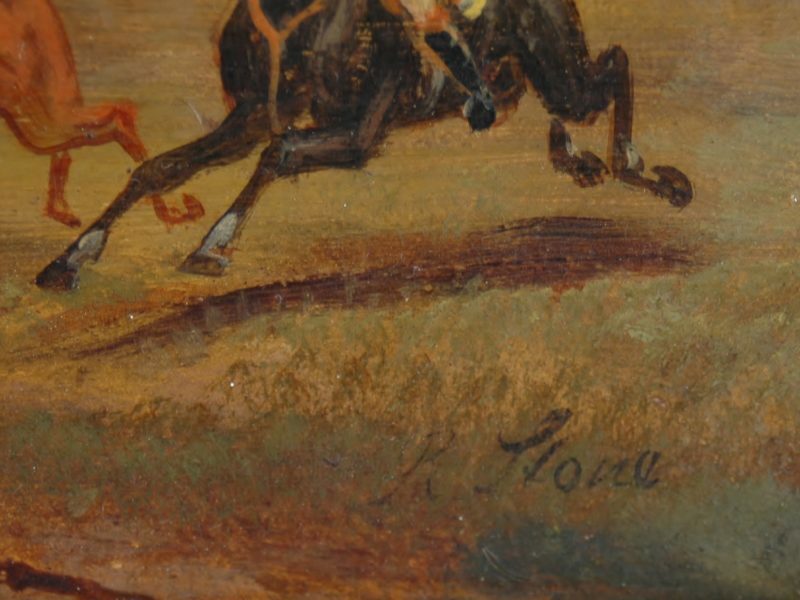 He was a “Painter of Hunting scenes (hunting with hounds), horses.” As can be seen from the entry in ‘The Dictionary of British Equestrian Artists’ by Sally Mitchell some of his pictures have contemporary German labels applied to the back. 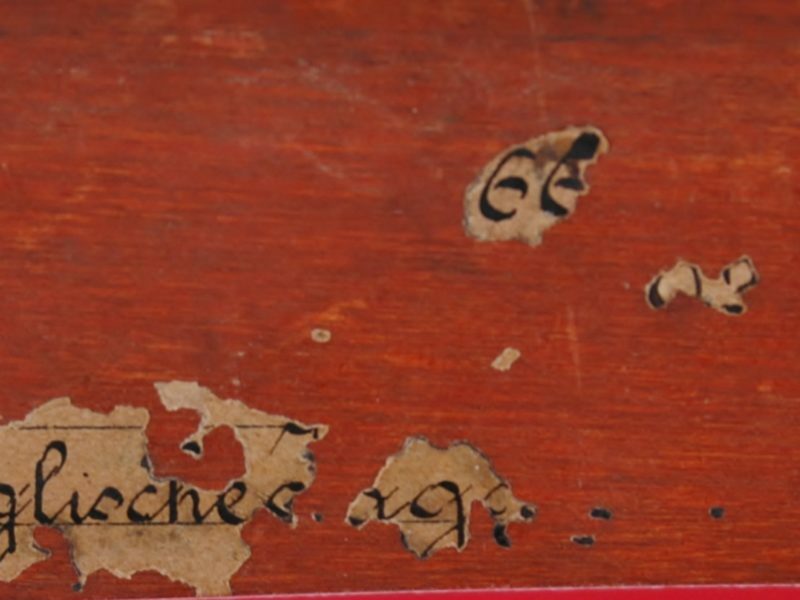 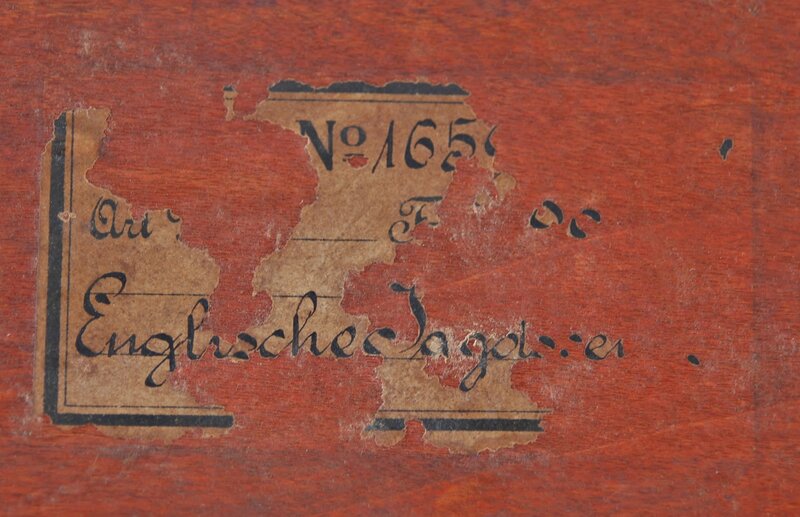 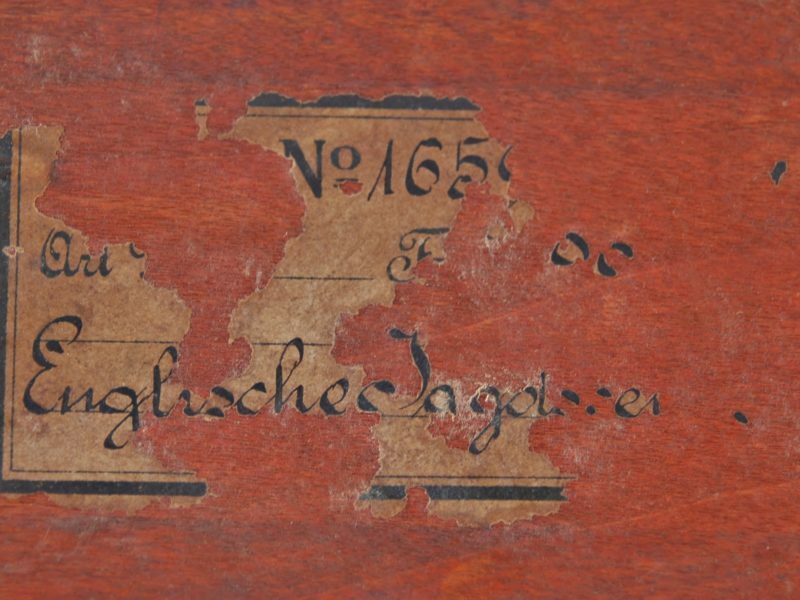 On both of these examples, the remains of labels in German can be seen.